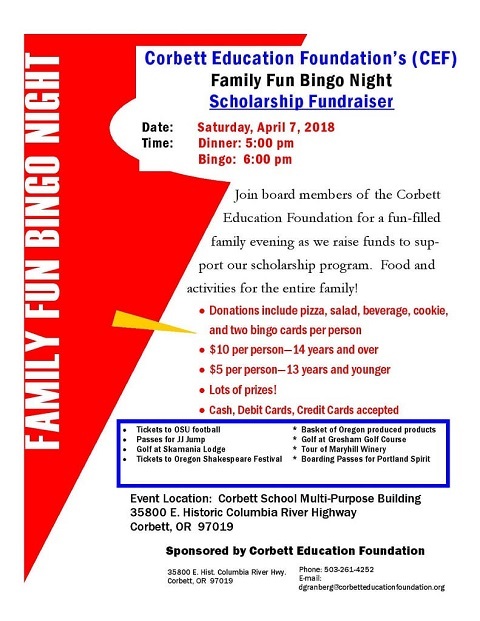 The Corbett Education Foundation board members will again be hosting an evening of family fun as we raise monies for scholarships. 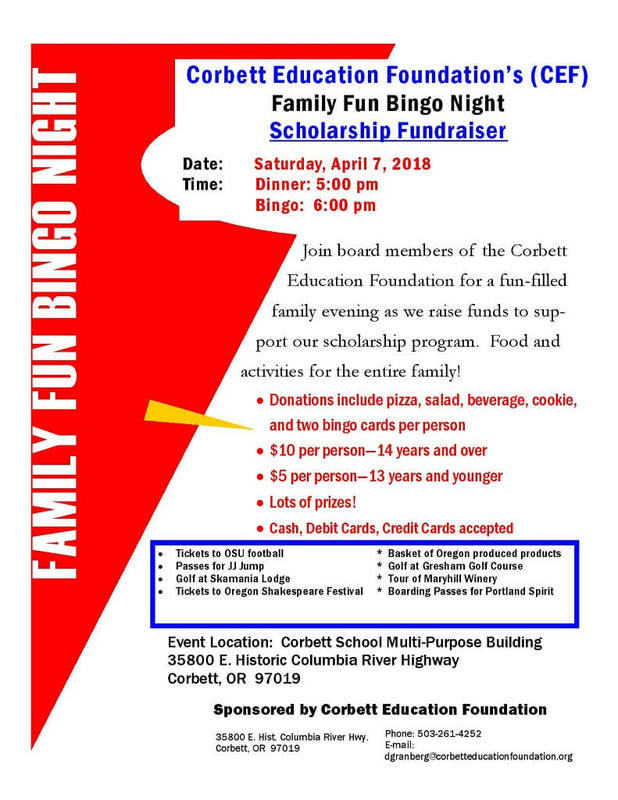 Come join us at our “Family Fun Bingo Night”. There will be pizza, popcorn, beverages, prizes, and an evening full of fun. (To verify our claim, just ask last year’s attendees if they had a good time.) 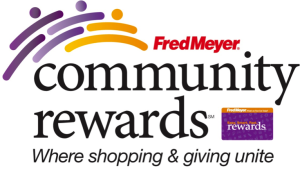 Hope you see you at this year’s event!